Sometimes you don’t notice a new fad until you bump into it. That’s what happened to me, literally, when my shopping cart sideswiped a display of toothbrushes with black bristles. I took a closer look at the Oral-B toothbrush and discovered it was infused with charcoal. And there was some Crest black-and white-striped charcoal toothpaste to go with it. As I trudged through the store’s toiletry aisles wondering why anyone would put something that looked like it had just cleaned a fireplace into their mouth, I noticed almost every shelf had a product containing charcoal. Soap, deodorant, shampoo, conditioner, toothpaste, masks, Epsom salts. Charcoal had become the “it” ingredient. This isn’t the stuff of backyard barbecues, I learned, though it starts out that way. Charcoal is created by super-heating carbon-rich materials such as wood, coconut shells, bamboo and olive pits. The process leaves behind a concentrated black substance made mostly of carbon that can be used as fuel. To give charcoal superpowers, you “activate” it, typically steaming at high temperatures. That opens up the carbon structure and eliminates substances harmful to humans. What remains is exceptionally porous, riddled with tunnels and nooks that act like magnets to grab dirt, oil and toxins. One tablespoon of activated charcoal powder is estimated to have a larger surface area than a football field. Charcoal works so well that emergency room physicians have used it for decades to counter the ingestion of poisons. Because charcoal and water don’t mix, and charcoal isn’t absorbed by the body, unwanted substances bind to charcoal (the scientific term is “adsorption”) and it passes safely through your gut. You may have also seen charcoal in air and water filters. Not only does it capture chemicals and dirt, but it absorbs odors. These uses for charcoal are well-established. 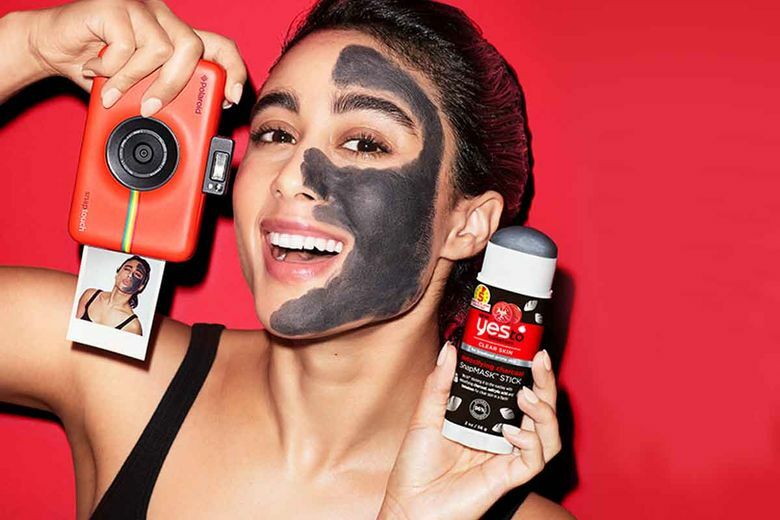 Activated charcoal’s binding ability is the feature that has made it the darling of the health and beauty industry, which is banking on the fact that if charcoal binds to impurifications in air or water, it will do the same on our bodies. But scientific proof is hard to come by. The greatest saturation of charcoal-based products is in skin care. Industry leader Bioré tells users to “go back to black” with its charcoal acne scrub, detox mask and charcoal cleansing micellar water. Proactiv sells a face mask formulated with activated bamboo charcoal and a charcoal-infused rotating cleansing brush. In the past year, major manufacturers have introduced shampoos, soaps, body washes and deodorants with activated charcoal, for men and women. Back to that attention-grabbing Oral-B black-bristle toothbrush. Colgate makes one, too. Other companies have joined Crest in offering charcoal toothpaste, and there’s even charcoal-infused dental floss. Opinions on the efficacy of charcoal toothpaste are split. Some dentists swear by it, others abhor it. Benjamin Schwartz, an associate professor at Touro College of Dental Medicine at New York Medical College says, “In general, charcoal toothpaste to whiten teeth is OK in moderation, but not everyday use. 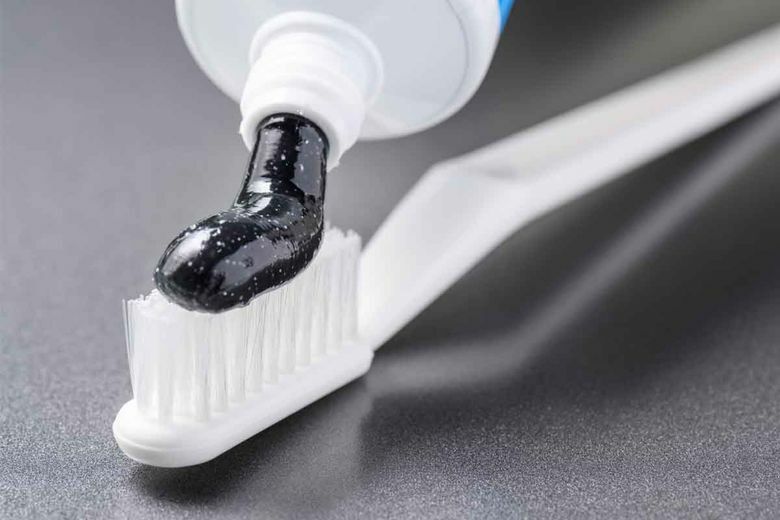 “Charcoal is abrasive, and while charcoal toothpaste may remove some surface stains, it could also damage your teeth by scrubbing off that top layer of enamel or cause painful tooth sensitivity,” he says. Relative dentin abrasivity, or RDA, is a guide to measuring abrasiveness in toothpaste. The American Dental Association recommends a score of 250 or below. For toothpaste specifically designed to whiten teeth, Schwartz favors a range of 60 to 90 RDA. If you want to try charcoal toothpaste for whitening, Schwartz recommends you do your homework. Try to determine its RDA and check if it contains fluoride (many do not). Then, alternate it with your regular brand. As with skin care, no studies show that using charcoal products for oral health does any good. The only known review, from 2017 in the Journal of the American Dental Association, concludes there is insufficient clinical and laboratory data to support the effectiveness of charcoal in oral care products. The paucity of scientific backing for charcoal’s claimed health benefits does not seem to have dampened enthusiasm in the marketplace. Activated charcoal is being added to foods and beverages such as ice cream and coffee to make them look chic. It’s being wrongly touted as a way to cure hangovers, aid digestion and detox the body. It’s even being added to mattresses: Signature Sleep has unveiled two new models — the Flex and Reset – with a charcoal and gel-infused layer that purportedly will absorb excess moisture and help regulate body temperature. Activated charcoal may be the new black, but if you look closer, you’ll find plenty of gray.